A cloud-based, AI-enabled digital business network that streamlines connectivity and deepens B2B transaction lifecycle visibility. Digital business and globalization continuously disrupt the way business is conducted in nearly every industry. Customers expect what they want, when and where they want it. You need to be confident that your business network is designed to support current and evolving business needs. 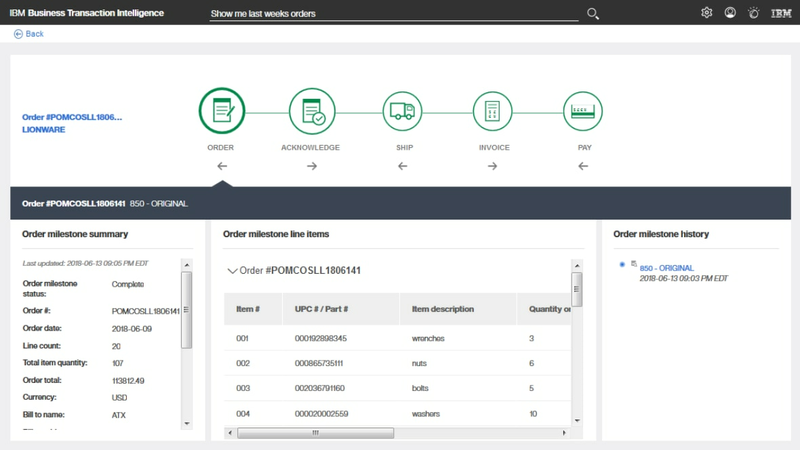 IBM Supply Chain Business Network is a cloud-based, digital business network that enables you to streamline collaboration across your Supply Chain by digitizing and automating B2B transactions. Leverage AI to deliver deep search and visibility into B2B transaction lifecycles, so business users have the insights needed to make faster and more informed decisions.